Turn That Cynical Frown Upside Down! Every few months I get really irritated with what people post on Facebook. I read through all of the updates from my “friends” and think things I would never utter to someone’s face. I put friend in quotes because, let’s face it, we have all accepted friend requests from people who may not actually be our friend. I tried to keep my acceptions to only those people who I would acknowledge on a crowded street, but low and behold, some stragglers snuck in there. I’m not saying I dislike those stragglers, I don’t know even them well enough to dislike them. I know I can unfriend someone, but who wants to see their numbers drop? Sure, I can hide their updates, but then what’s the point? I would have nothing to criticize. The “friends” weren’t the cause of my cynicism today. I don’t even know what the actual culprit was, but I was so annoyed, I wanted to delete my Facebook account. I knew I wouldn’t because how would I know when someone was at work, what they were eating for lunch, how much sleep they got last night or what the weather was like in their town. For the love of all that is holy, I need to know what you’re making for dinner! Before I go any further, let me just say I know I have posted status updates that have included riveting facts about all of the above. And really, it’s not that I dislike those posts, but this morning, I just couldn’t take it! I dropped Kamryn off at her science camp this morning, got my run in and then exited the shower to find Rory sleeping soundly on my bed (all GREAT things), but I still couldn’t get out of my funk. I completed a little DIY project, to be featured later this month, and that was starting to get my endorphins keyed up, but it wasn’t until I was driving home from the craft store that I completely rehabilitated my attitude. I was sitting at a stop light, waiting to turn, when I saw a boy, maybe about 13 years old shuffling towards the corner. He was a skinny little guy, dressed in a black tank top and black parachute pants. His hair looked like a 70’s version of that hideous Justin Bieber haircut and he was sporting some pretty thick rimmed glasses. Once he got to the corner, he stopped, turned in a circled and then Karate kicked the walk button. He couldn’t see me from where I was, so I just chuckled a little to myself and was going to go about my business, when this kid unleashed a world of hurt on the light post. He didn’t seem angry, but he was definitely working on some moves. The kicking intensity accelerated the more pulls he took off his Mountain Dew and then, before I knew it, the light turned and I was forced to drive off. I had was in full on laughter when I drove past the young lad and he shot me the toughest “Are you talkin’ to me” look he could muster, which only sent me into fits of hysterics. I am not making fun of this kid. In fact, I would have loved to talk to him. He was such a quirky little fellow, I was curious about his story. Granted, he was very Napoleon Dynamite – ish, and he demonstrated that with his mad skills. And just like watching Napoleon Dynamite can put a smile on my face, that little dude pulled me right out of my funk and sent me home to eagerly check on all my friends and “friends”. I was scanning through Facebook posts with some of the highest status update enthusiasm I have had in a long time. 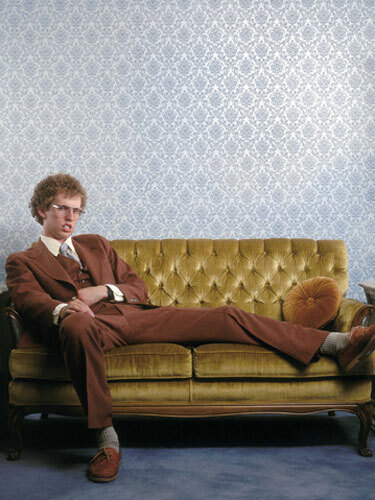 This entry was posted in Uncategorized and tagged Facebook, Napoleon Dynamite, Weird Kid by Amy. Bookmark the permalink.